Zaful is an online store from where one can shop pretty and edgy fashion apparels. It’s for fashionista , one who want to own comfortable and classy apparels , to look and feel great and to stand out in the crowd. It is for one who wants more in their in life . The best of everything . It was established with a vision to provide latest fashion apparels, shoes & accessories to it’s customers. When I checked the site for some semi formal dresses , I saw some Lovely dresses in variety of designs and colors . I am sharing some of my favorite ones here . 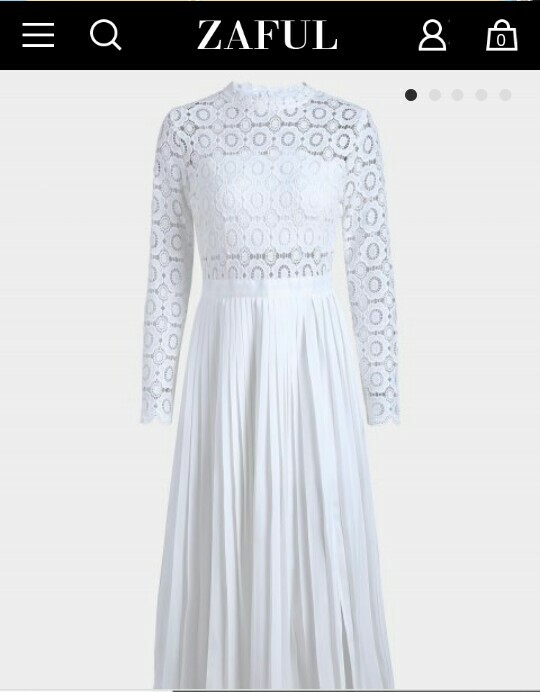 This is a lovely white dress with long sleeves and Mock Collar , ideal for occasions like Evening Party , Bridesmaid etc. It’s looks decent and classy . 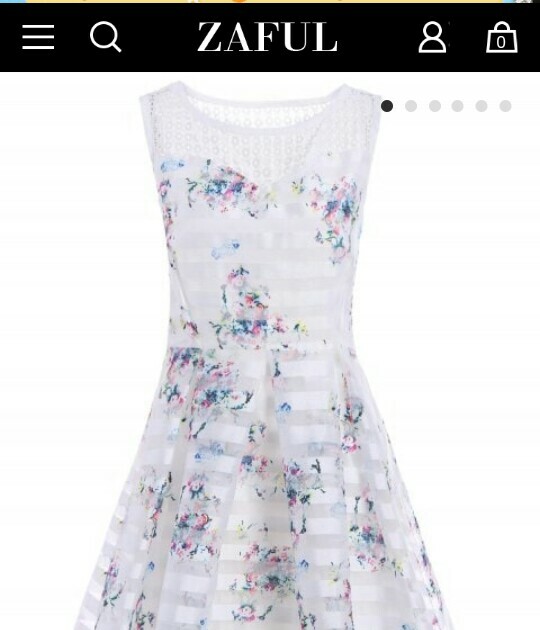 This is a pretty floral dress in white . This is a A line knee length dress with cute polka dots , ideal for Spring -Summer. 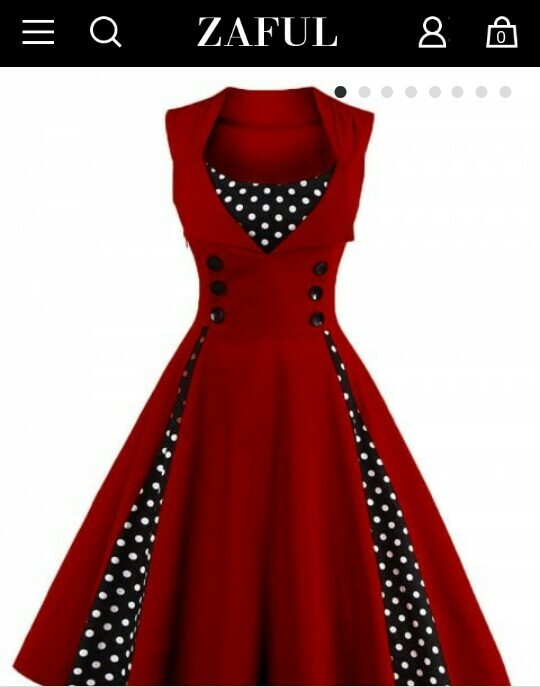 It’s a Vintage style Polyester dress with square collar . Looks too pretty and fashionable. 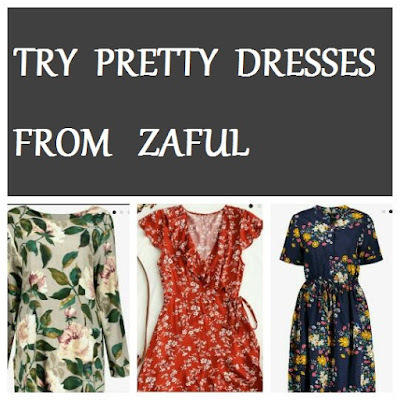 One can choose dresses at Zaful by Dress Type , Dress length , Style , Color , Neckline , Material , Pattern type , Price etc . So it’s quite easy to get what one is looking for. And all the dresses are in affordable range , not too expensive. 1. Vast collection of Apparels , Accessories and Shoes . 2. Some excellent dresses and gowns in affordable range. 3.Their dresses are too pretty and fashionable. 4. Easy payment methods like Paypal , Credit card , Debit card , Wire transfer etc. 5. 30 days return warranty. 6. Shipping all over the world , So we can order from India and get products delivered at our door steps within few days. Do check the store and have a look on their collection of pretty dresses for all occasions.